With only a couple of weeks to go for the high-level 2+2 dialogue between India and the US, experts feel that the US is likely to give concessions to India on trade sanctions with Iran and Russia. New Delhi (Sputnik) — India and the United States are preparing for a high-level 2+2 dialogue between Sushma Swaraj and Nirmala Sitharaman and Mike Pompeo and James Mattis in New Delhi in early September. 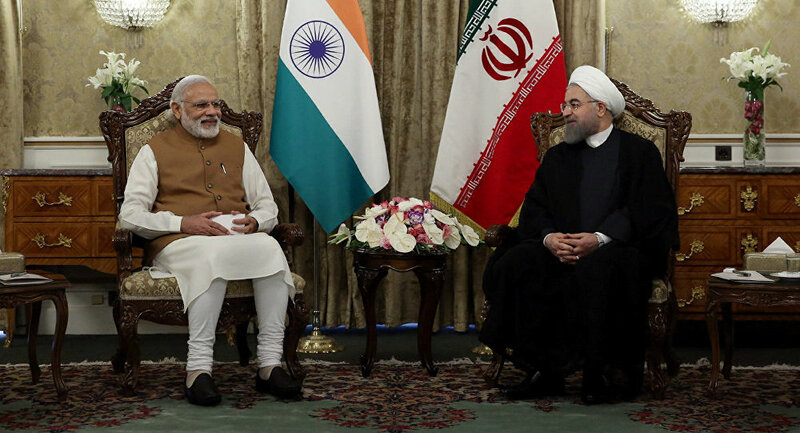 India's import of Iranian oil is considered the thorniest topic among issues to be discussed, as recent American statements have been categorical in their intentions. "Our goal is to reduce every country's import of Iranian oil to zero by November 4, and we are prepared to work with countries that are reducing their imports on a case-by-case basis. Those sanctions will come into effect on November 5. Those will include sanctions on Iran's energy sector, transactions by foreign financial institutions with the Central Bank of Iran, Iran's shipping and shipbuilding sectors, among others," the newly appointed special representative of United States on Iran, Brian Hook, told reporters last week. The key problem that India is wrestling with is that during the Obama administration sanctions on Iran, "significant reductions" in oil imports from Iran amounted to a 20 percent reduction every six months. In the past month, the US and India have held two rounds of talks, the most recent being on August 16; but clarity eludes both sides. Indian officials expect some understanding to come about after the 2+2 meeting in early September. The insistence of the United States to reinforce sanctions on Iran is happening at a time when China is less inclined to abide by US diktats while the European Union is already in talks with many countries, including India, to salvage the Iran nuclear deal. "The foreign secretary and the defense secretary of India have already visited the US and the implications of it are that if the talks happen finally in September after two postponements, then it would certainly bring out some results. I think America might be fine to give some concessions to India on Iran oil front and also for the purchase of defense equipment from Russia. Reason for it being that Washington wants to engage India in a constructive way," retired group captain Ajey Lele, a senior fellow at the Institute for Defence Studies and Analyses (IDSA), told Sputnik. Meanwhile, ahead of the 2+2 talks, the Indian media have been extensively reporting on India's plans to bring in the US as a member of the International Solar Alliance (ISA), a move which has great significance since the Trump government walked away from the Paris accord in 2017. The views and opinions expressed by Ajey Lele in this article are those of the speaker and do not necessarily reflect the position of Sputnik.